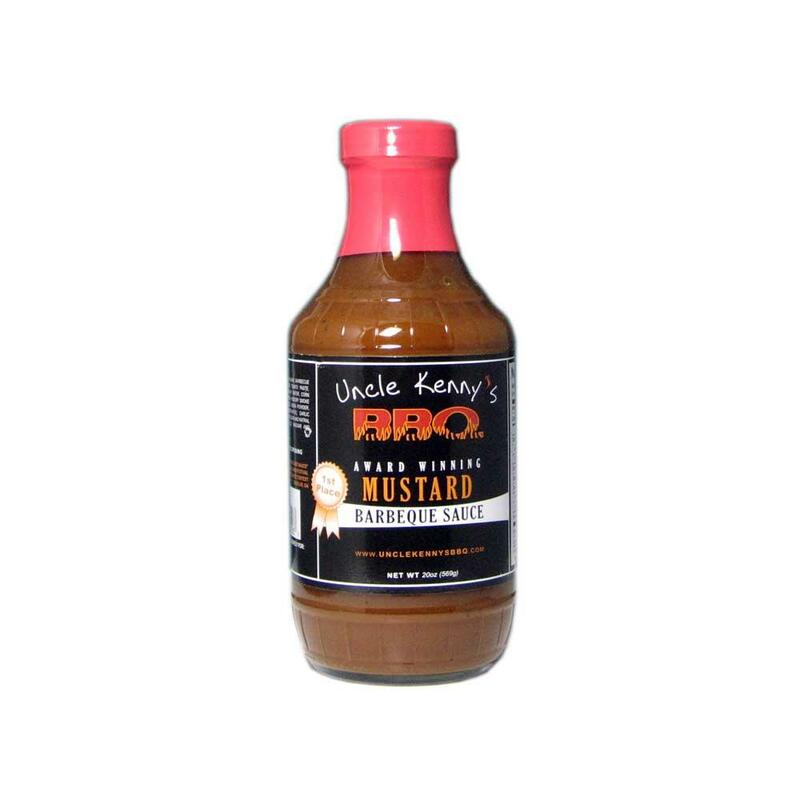 The third and final sauce to be reviewed from Uncle Kenny's BBQ is their award winning Mustard Barbeque Sauce. Like their Spicy and Original sauces, Uncle Kenny's Mustard Barbecue Sauce comes in a stout 20 oz bottle with their signature black label. Uncle Kenny's Mustard Barbeque Sauce is unique in that it combines yellow mustard and brown sugar with their Original sauce for a sweet, tangy hybrid. Because the mustard is blended with traditional BBQ sauce, the color is darker than what you'd expect from a mustard sauce. The sauce is more brown than yellow and speckled with pepper and various spices throughout. In my experience, mustard sauces are really hit and miss. I don't think simply adding a little sweetness or heat to regular yellow mustard is enough to call it a BBQ sauce. Thankfully, Uncle Kenny's has gone above and beyond to create an exceptional mustard based BBQ sauce. I love the idea of combining the excellent flavor of their Original Kansas City style sauce with sweetened mustard. The depth of flavor that this combination provides greatly excedes that of most mustard sauces. The sauce is sweet and tangy with a little bit of spice, but still manages to hold its identity as a mustard sauce. Mustard is definitely still the dominant, most recognizable flavor. However, it's accented nicely with sweeteners and a variety of other flavors. I used Uncle Kenny's Mustard Barbecue Sauce on pulled pork and as a dip for meatballs. It was very good on both occasions. It could also be excellent brushed on ribs or chicken. Uncle Kenny's Mustard is a medium thick sauce which makes it very versatile. If you like mustard sauces, you can probably enjoy it on just about anything. If Uncle Kenny's isn't the best mustard sauce I've ever had, it's awfully close. Mustard sauces are so easy to get wrong, but Uncle Kenny's seemingly got it exactly right. 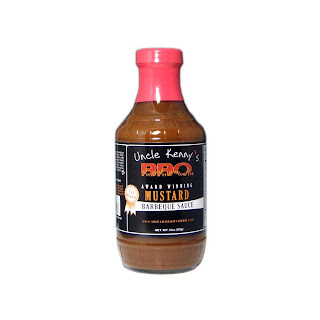 To learn more about Uncle Kenny's Mustard Barbecue Sauce and their entire product line, click the title of this review. See how this sauce compares to other BBQ sauces on the product reviews page. 0 Response to "Uncle Kenny's Mustard BBQ Sauce"